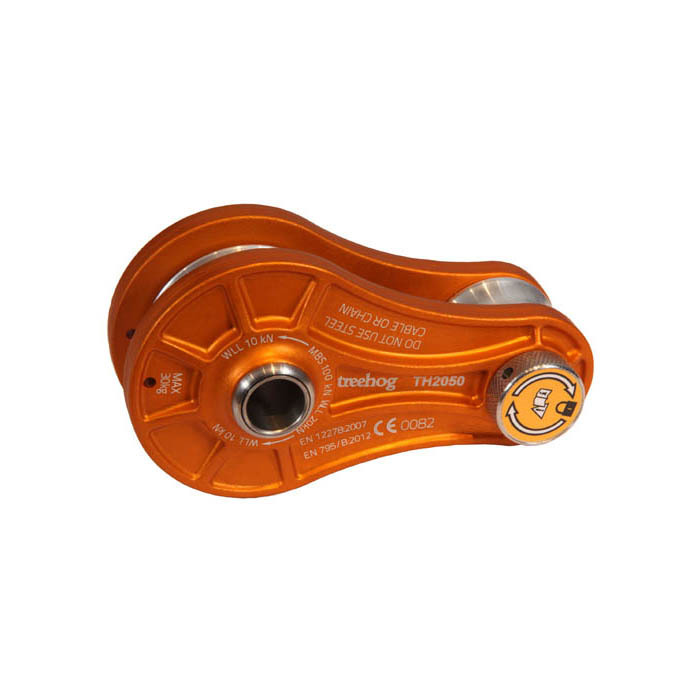 The TH2050 is a heavy duty impact block style lowering pulley, of forged aluminium construction, designed to absorb impact during shock loading. Available in blue anodised finish to avoid rope damage, the TH2050 features swivelling side plates for easy installation mid line, A simple thumb screw operation secures the plates closed, and there is a handy cord for attachment of the rigging block to climbing harness. With heavy duty stainless steel bearings, the large sheave can take rope up to 18mm diameter and has a working load limit of 20kN.